Black Creek Taxidermy is a full time professional taxidermy studio located in north central Ohio,owned and operated by Heath Cline. 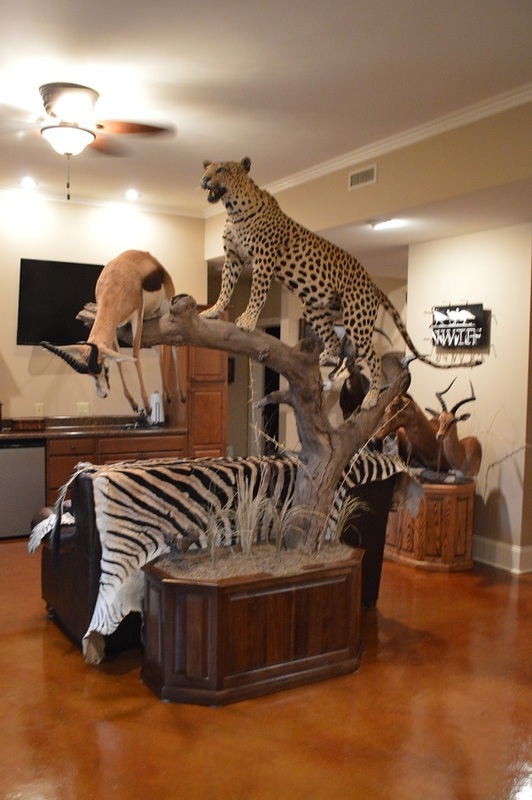 Black Creek Taxidermy has over twenty-three years of experience in the taxidermy business and can preserve your trophy of a lifetime, whether its your child's first fish or your African Safari. Please look around our website and if you have any questions, please email us or give us a call. 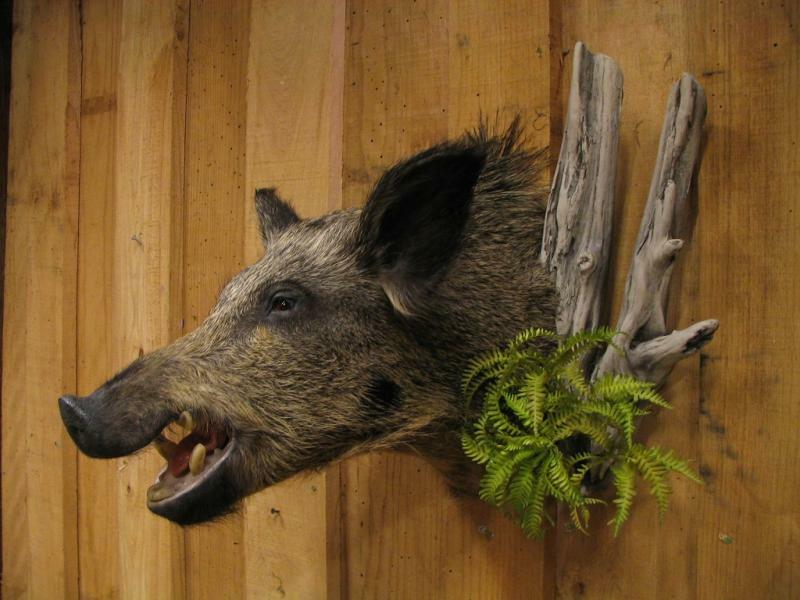 We had the honor of mounting this for a "Wounded Warrior"
Black Creek Taxidermy specializes in all aspects of taxidermy. We have expirience with every animal from mice to rhino. 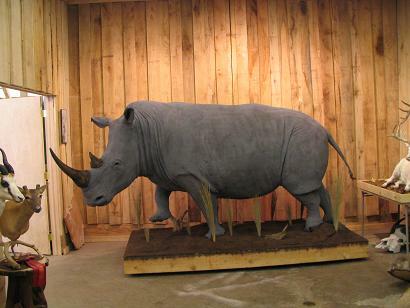 In fact we mounted and delivered a lifesize White Rhino for a client from Florida. We have clients from Florida to California. So no matter where you are from we can ship or deliver your trophies to you. Black Creek taxidermy is open 9:00 - 5:00, Monday - Saturday, closed on Sundays. During the Ohio shotgun seasons we are open till 8:00 each evening. We also offer later times by appointment only. Copyright 2009 Black Creek Taxidermy. All rights reserved.